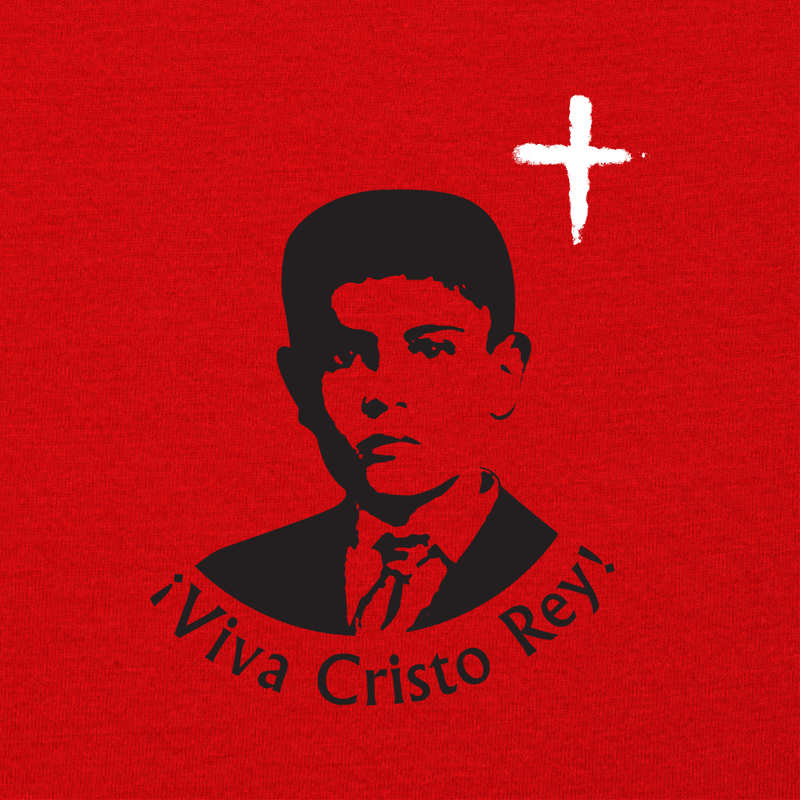 Jose’s older brothers decided to join the Cristero army and fight for the rights of Mexican Catholics. Being 12 years old Jose could not follow his brothers to war but pleaded with his parents to let him go. When asked why he wanted to join the fight he answered that he wanted to be given the chance to give his life for Jesus. When he was 14 years old he heard the Cristero army was close to his town so he walked 20 miles to where they were encamped and pleaded with the commanding general to let him fight with his brothers. The general assented but told him that because he was so young his job in the army was not to fight but to carry the Cristero flag to battle. On January 26, 1928 during an intense fight, the horse used by this same general was shot dead. When Jose realized this he dismounted from his own horse and gave it to his commanding officer so that he could escape. This action caused Jose to be taken prisoner by the Government forces. Being so young, the guards proposed to him that if he publicly denied the faith by proclaiming “Death to Christ the King” they would let him return to his family. He refused. What followed were 17 long days in which the soldiers tried again and again to make him deny his faith. In prison José prayed the rosary daily and wrote letters to his family asking them to stop trying to get him released since he was ready to fulfill the will of God to whom he dedicated himself completely. On October 16, just a few weeks from today, Jose, a young person just like you here today, will be elevated to the honors of the altar, and from this moment on he will be known as Saint Jose Sanchez Del Rio. You might be wondering, why have I told this story today? Well, in today’s Gospel reading we heard some very troubling words from Jesus. “If anyone comes to me without hating his father and mother, wife and children, brothers and sisters, and even his own life, he cannot be my disciple.” What is Jesus saying? That we have to hate the people we are supposed to love the most ? Not at all. Look at young Jose - he deeply loved his parents and brothers. He loved them as much as I’m sure you love yours, and yet when it came to loving God, he understood very well what was most important: That nothing can come between our love for Him who loves us more than anyone can love us. Jesus words are difficult to hear, it is difficult to think that some day we might have to make the choice between our friends, families, lives and our Christian faith. But when the moment comes, Jesus is very clear, we must act as if these things mean nothing to us. This, in short words, is what it means to be a Christian, a disciple of the Lord. The Christian faith is not for wimps. It is a challenging and sometimes difficult way of life. With many of you starting the school year I’m sure your faith will be challenged, by friends and teachers. Ask yourself this: Am I strong enough to call myself a Christian?